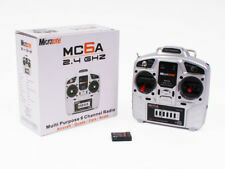 Having noticed a BIG gap in the market for top quality radio systems at great prices it was decided to launch MicroZone with the MC6A, a 6 channel 2.4GHz multi option radio system. Designed and built to work with Aircraft, Cars, Lorries, Quads and Boats this really is the start of a great new radio system. Himoto Racing glow plug igniter starter kit for nitro engine powered RC model cars, buggy & trucks High quality re-chargeable glow plug igniter Fuel bottle with aluminium pipe 2x Screw drivers 2x Multi Sockets 3 pin UK mains charger Original factory part Himoto Ref: HI80142 Compatible with all major RC brands such as HSP, HPI, Acme & others. Product Information The Himoto H81042 glow plug Igniter is a MUST HAVE! for all new nitro cars and trucks. The Himoto 80142 glow starter is the complete set needed to allow you to start your radio control cars nitro engine, you just need to add fuel!. This genuine Himoto quality accessory is the perfect accessory for Himoto and all leading brands of RC nitro engine powered cars, trucks and racing buggies. 10 x Deans Plug Male Plugs. 10 x Deans Plug Female Plugs. Suitable for Lipo Battery Motor. Female Plug Size: Approx. 20x13x7mm/ 0.79x0.51x0.28". Male Plug Size: Approx. 12x7x15mm/ 0.47x0.28x0.59". 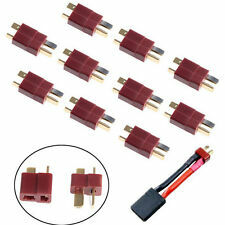 This T-plug connectors low-resistance and wear-resisting. 1 x 4.0mm Box Spanner. 1 x 5.5mm Box Spanner. Specification: This complete RC Helicopter repair kit makes the perfect gift for any helicopter enthusiast and contains all the basic tools for helicopter repair, maintanence and setup. Kit for: 1/10 HSP RC Car DIY. 15 x Flat head screws 3 6. 15 x Flat head screws 3 8. 15 x Flat head screws 3 10. 15 x Round head screws 3 6. 15 x Flat head screws 3 12. 15 x Round head screws 3 8. JST 2.5 SM 2-Pin Male Connector plug w/. Wire x 5 pcs. - JST 2.5 SM 2-Pin Female Connector plug w/. - Cable Length : 200mm. - Cable 22AWG. Tamiya Connector Pair. However, this will only apply where the item has been subject to normal usage and has not suffered any form of misuse. Wireless Madness was born out of love for RC Cars and RC Helicopters. Being long standing enthusiasts and experts in this field we bring together our know-how and experience into the hobby and toys world. FTX Carnage Wheel Maintenance Set Pins, Nuts, Hex Hubs (upgraded version). and HOOLIGAN. 4 x hex pins to suit the blue hex. 8x wheel nuts. Inexpensive set with aluminium machined and anodised handles. 175mm total length and the narrow tipped part is 88mm. Tamiya 5mm Shim Set (3 Types/ 10 Pcs. Each), Part No's. 53587 (OP-587). Tony's Tamiya Spares. Any currently available 5, 7 or 8 digit part can be specially ordered, subject to 25% deposit. 1 x 1.5mm Hex Key. 1 x 2.0mm Hex Key. 1 x 2.5mm Hex Key. 1 x 3.0mm Hex Key. Our goal is to make sure that you can find exactly what you are looking for and make it easy for you to place your orders. Color: Black. Cooling: The unique fins machined into the bell draw up cool air from the motor base and through the coils as the motor spools up. The faster it spins, the more air it ventilates. Cooling fins significantly reduce heat soak by at least 30%. RARE Tamiya TL-01 Stabilizer Set, Part No's. 53324 (OP-324). 58224: Peugeot 306 Maxi WRC - FF02. 58248: Toyota Celica - FF02. 57005: Calsonic Skyline GT-R - TL01 4WD Complete Set. 57702: RTR Ford SVT F-150 Lightning (TL01). Fit For WPL B-14, B14K, B-24, B24K, B16, B16K, B-36, B36K C-14, C14K, C-24, C24K 1/16 RC Car. Fish Tank Mini Similar Foreground Carpet Qater Plants Seed Aquarium Decor. Identity Theft Protection Stamp Seal Code Roller Self Guard Your ID Security.